Plus the calculator that’ll help you figure out how much to set aside. COSTS CAN ADD up fast during a home renovations project. Every layout change, every last-minute extra, every unexpected repair… it’s all another dent in your hard-earned budget. 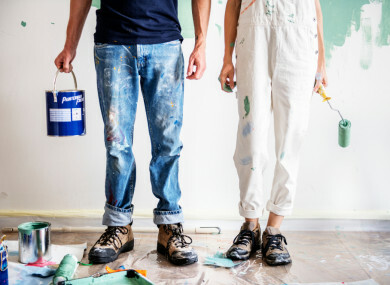 While we’d all love to have enough in the bank to be able to raise our budget by €10,000 on a whim, most renovators out there are on a strict price limit. So how do you ensure you only end up paying what you can afford? “For most people out there planning a renovations job, their final budget really is their final budget,” says Richard O’Hagan, contractor and co-founder of Open Plan Homes. Here are some of Richard’s key insights on staying within budget – and you’ll find a handy calculator right here to help you estimate your costs. The number one reason renovations go over budget? “People adding on extras,” says Richard. You’ll pick up ideas as you go and your list of ‘must-haves’ might change. Design extras aside, often a client will be faced with what Richard calls “the necessary extras” which can sometimes crop up. These are repair costs that could come to light after the fact. There are plenty of structural things that you can’t see until you start digging down into the ground or opening up ceilings. Aim to have some money kept aside just in case, especially if your home is an older build. If you’re not sure about a quote for supplies or simply want to cut costs, do some shopping around. “With the basics like internal doors, pick them out yourself instead of asking the builder to do it. That will cut out the middle man,” says Richard. You want the most cost-effective design plan for your money, so find a builder who wants that too. “A good contractor will be upfront about added costs and will look for efficient ways to save you money,” says Richard. When you’re making the decision to sell up or renovate, everyone will have their opinion – and won’t think twice about letting you know what it is. But how do you block out the noise and get to the point? At permanent tsb, we value finding a better way. If you’re house-hunting, or even just saving for your deposit, you’ll want to do things the right way. Head over to our Bring It Home Hub for the inside scoop. Lending criteria, terms and conditions apply. Security and Insurance required. permanent tsb p.l.c is regulated by the Central Bank of Ireland. Email “Here's how to ensure your home renovation stays bang on budget, according to a builder”. Feedback on “Here's how to ensure your home renovation stays bang on budget, according to a builder”.